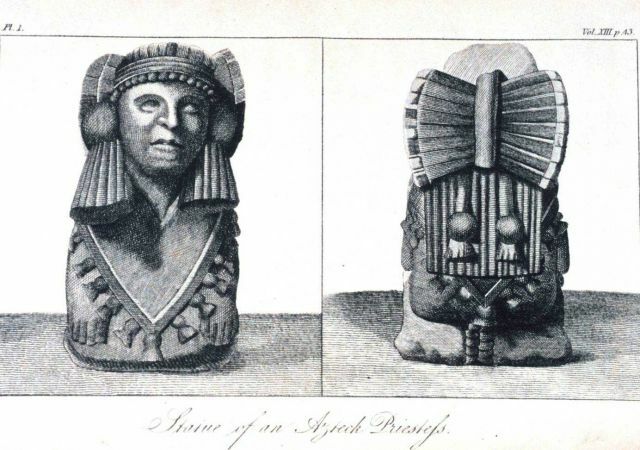 “Statue of an Azteck Priestess” in: “Researches Concerning the Institutions and Monuments of the Ancient Inhabitants of America,” by Alexander von Humboldt and translated by Helen Maria Williams, 1814. Vol. I, p. 43. Library Call Number C/gLH919.